Scooby Doo and his friends always find themselves solving mysteries involving supposedly supernatural creatures through a series of antics and missteps. Now Scooby is going to investigate suspicious goings on in the Mystery Mansion. Beware as there are plenty of secret traps hidden in the mansion! 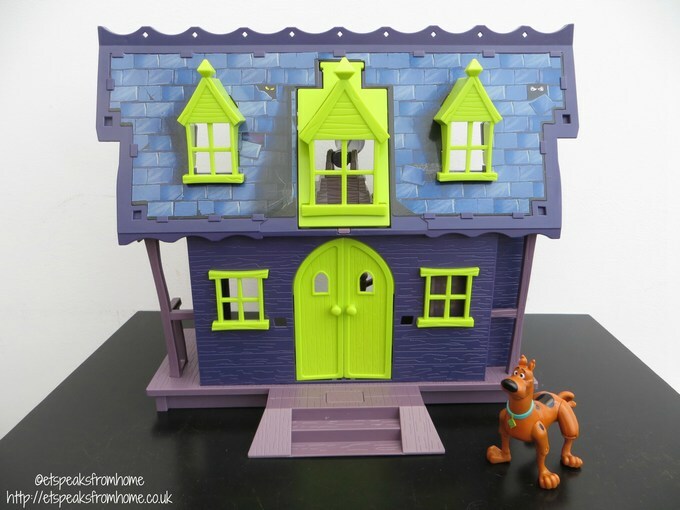 This Mystery Mansion playset from Character Online is for children aged three plus and upwards. 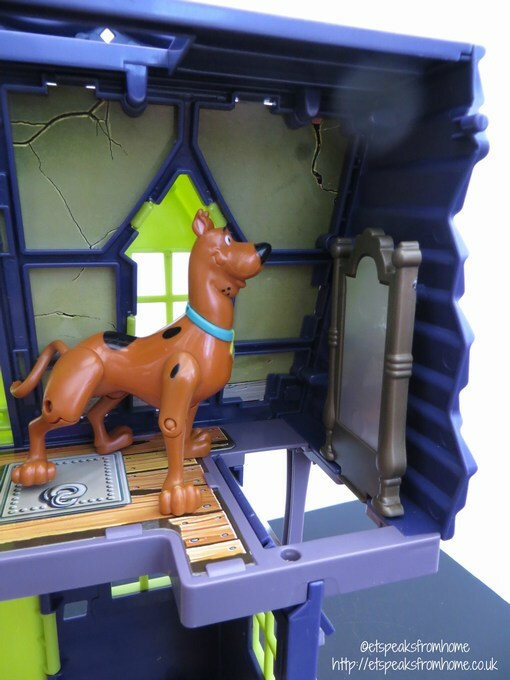 It comes with a 5 inch figure of Scooby, an entrance star, chandelier, staircase and missile. There is no instructions included but fixing it is very straightforward! 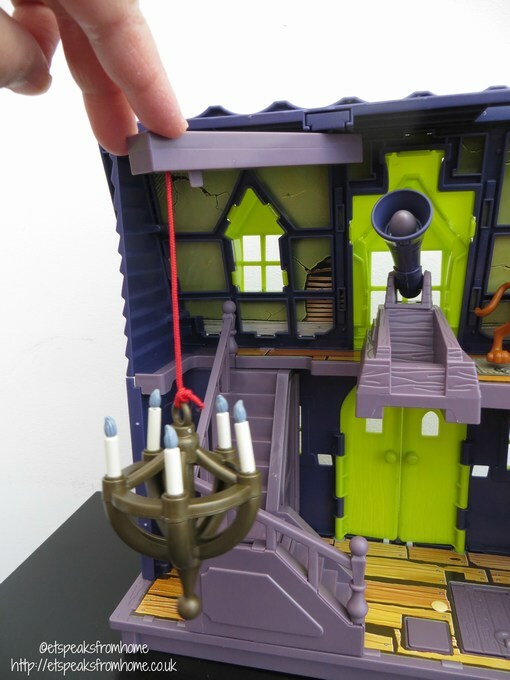 This mystery mansion is a very well made, sturdy toy. It measures 40cm in length x 14cm in width x 33cm in height. The mansion is fairly slimline which makes it easy for storage. It also comes with a skylight window which you can use to fire your missile or use it to carry the mansion. This mansions features quite a few traps! Firstly, if Scooby steps on the loose step, the doors will clatter and bang open! 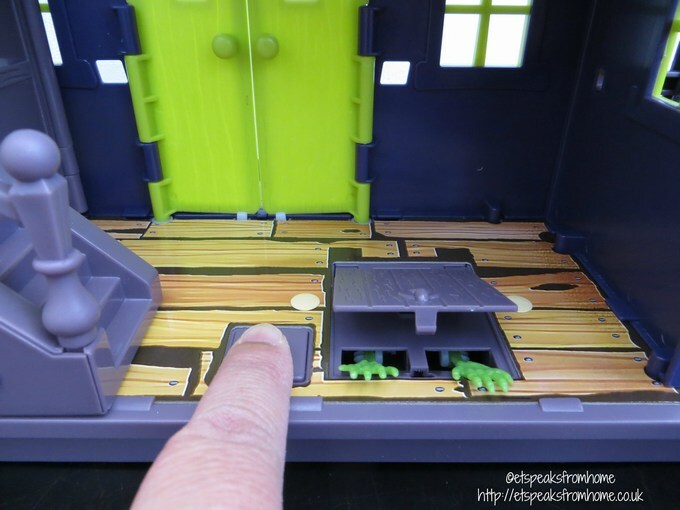 Also, do watch out for any trap doors as ghouls will reach out from their hiding place to scare you! Walking up or down the stairs, you might find a surprise ghoul. My children love using the cannon in the roof to use it against those grizzly ghouls. I needed to advise them that they are spring loaded so needs to be handled with with care! The missiles shoots really far so you do need to be careful of other’s presence. 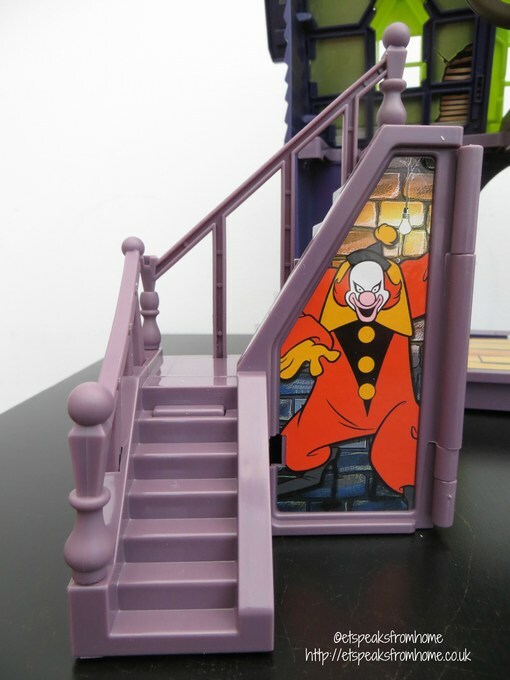 The house also comes with a mirror of fate that will release the trapdoor underneath you! Although Scooby is quite big, he is still able to slide through the trapdoor! Scooby comes with moveable limbs. Lastly, be careful the loose chandelier doesn’t drop on you or swing at you! Both children love this mansion which they can play with for quite some time! It really stimulates their imagination and encourages them to create their own stories. It’s a shame it doesn’t come with other characters which would be even better. I would recommend this mansion as it is great value, good quality and of course lots of fun to play! They are available to buy in good retailers and amazon. Disclosure: We have received the sample to do this honest review.